Yinwang drawing dies are famous for the high quality and reliability. To meet all kinds of market requirements, Yinwang offers a large selection of dies for drawing wire and rod, which range from ultra-fine wires to intermediate wires and rod size wires. According to applications on different kinds of wires, our dies divide into four series: TC die series,PCD die series, SSCD die series and ND die series. All these four series enable us to provide dies for all types of bare plated ferrous and non-ferrous wires. 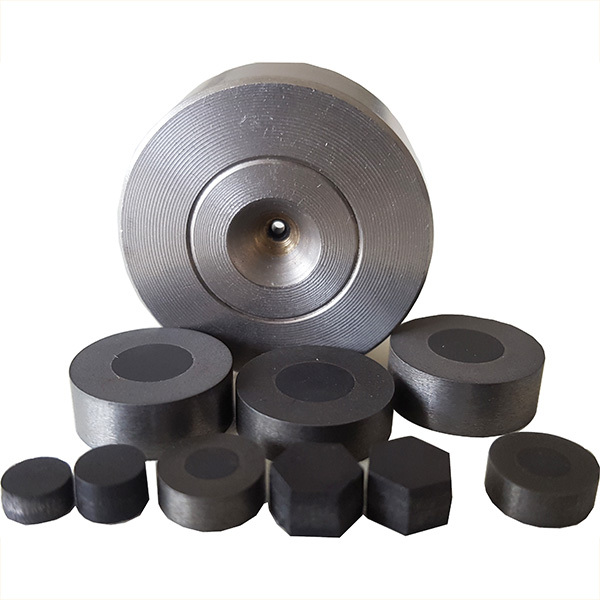 Tungsten Carbide(TC) Dies：TC dies are an excellent option for manufacturing ferrous rod-size wires, and for relatively short production and trial runs. 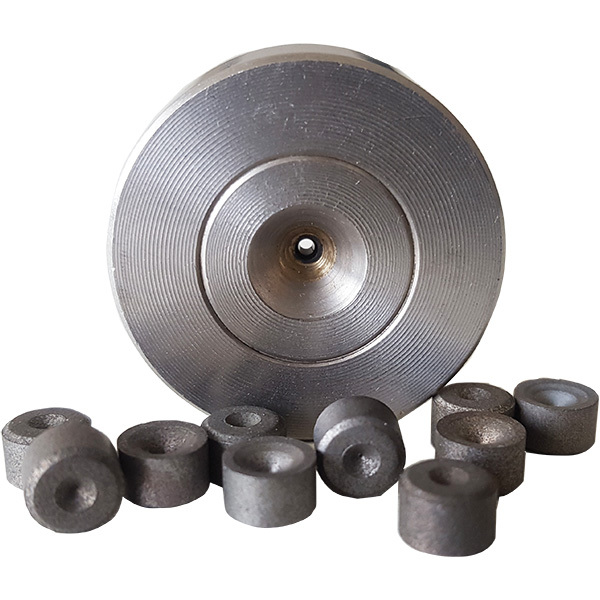 Tungsten carbide blanks have extreme density, hardness and strength. Drawing dies are available in all round sizes. Special shape dies including, but not limited to, oval, square, triangle or hexagon design can be made to order. Synthetic Single Crystal Diamond (SSCD) Dies, Natural Diamond(ND) Dies Dies：SSCD and ND dies are an excellent option for manufacturing fine and ultra-fine wires. Single crystal diamond dies provide superior quality, hardness, accuracy and a long working life for each die. They yield precision wire with an excellent surface finish, enabling high drawing performance and low power usage due to low friction. Polycrystalline Diamond (PCD) Dies：PCD dies are ideal for long production runs and for drawing abrasive wire materials as they outlast TC, SSCD and ND dies. 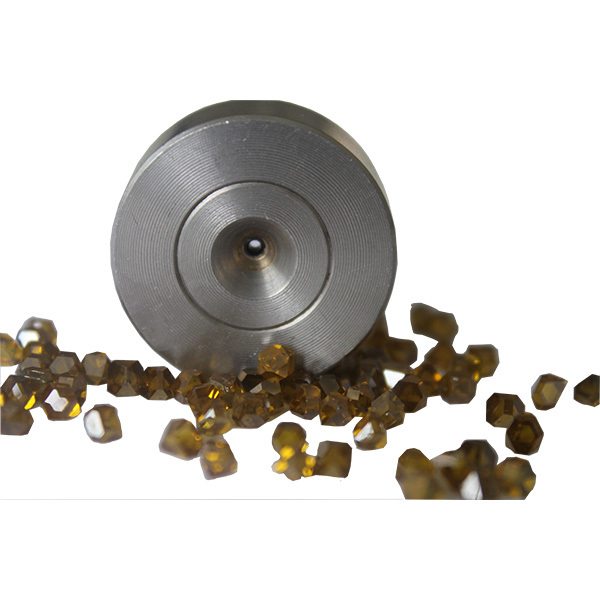 Polycrystalline diamond dies are available in various grain sizes, both in supported and unsupported configurations. Thermally stable blanks are available for high temperature applications. PCD dies provide uniform hardness and extended wear resistance in all directions.